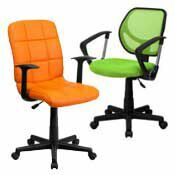 Task and computer chairs are designed to enable you to perform your tasks more effectively, from uploading your database to organizing your files. If you work on a computer, chances are good that you spend a lot of time sitting at your desk, staring at your screen. Choosing the right computer chair is just as important as choosing the right computer. Whether you work in a home office or in a corporate setting, the chair you sit in is extremely important and can make a big difference in how you feel at the end of every day. 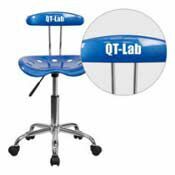 Big & Tall Task Chairs, Kid's Task Chairs and Kneeling Chairs.